Welcome to Grateful Guest House and Bloemfontein City Accommodation. We are able to accommodate visitors to Bloemfontein (Mangaung) in a variety of accommodation options. We can help budget visitors in affordable backpackers, hostels or overnight rooms, and we can assist guests looking for a better standard in self catering units, bed and breakfast, game lodge or hotel accommodation. We can offer accommodation to different sport teams, like Tennis, Rugby, Netbal, Soccer, Hockey, Badminton, etc. for groups from 5 to 100 or more. Accommodation ranges from Hostel, Backpackers or Overnight Accommodation to Self Catering or all Meals included. Prices for accommodation range from R140pp, depending on dates, group size and supplier used. Venue for your next sporting event, can also be booked. Need to overnight in Bloemfontein or would like to stay a couple of days and explore Bloemfontein, let us assist you in booking accommodation or activities for your School Group. Accommodation ranges from Hostel, Backpackers or Overnight Accommodation to Self Catering or all Meals included. Prices for accommodation range from R140pp, depending on dates, group size and supplier used. Do you need to overnight in Bloemfontein or do you require accommodation for your annual Church meeting in Bloemfontein, like the CRC Dream Week Conference or New Covenant Conference. We can assist your Church or Youth Group with this as well. Prices range from Single R230pp, Twin R165pp to Groups R140pp. School Camps, Church Camps, Youth Camps, Sports Camps, Family Reunions. We can assist you in planning and booking accommodation, venue, meals and activities for your next Camp in and around Bloemfontein. Prices for accommodation range from R95pp no bedding to options with bedding from R140pp, depending on dates, group size and supplier used. Need to overnight in Bloemfontein or would like to stay a couple of days and explore Bloemfontein, let us assist you in booking accommodation or activities for yourself or Group of family or friends. Prices range from Single R230pp, Twin R165pp to Groups from R140pp depending on dates, group size and supplier used. Short, medium or long stay. We can assist your crew with basic accommodation. Prices range from Single R230pp, Twin R165pp to Groups from R125pp depending on dates, group size and supplier used. We can assist shop fitters, electricians, concrete flooring contractors, tiling staff, etc. with short, medium or long stay. Basic overnight, self catering or accommodation offering meals can be booked. Prices range from Single R230pp, Twin R165pp to Groups from R125pp depending on dates, group size and supplier used. Need to Overnight or do some work in Bloemfontein. We can assist with Basic overnight accommodation, self catering or accommodation offering different meals options. Prices range from Single R230pp, Twin R165pp to Groups from R125pp depending on dates, group size and supplier used. 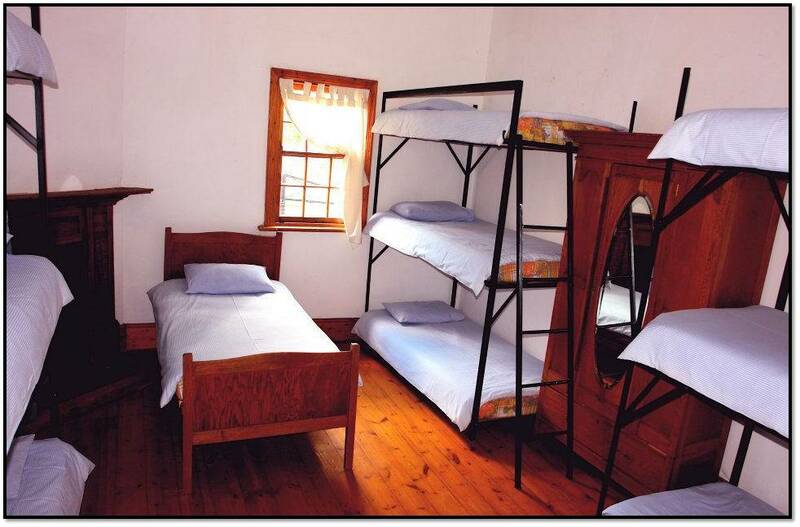 Beds: 10 to 40 guests can be accommodated on site in 12 different rooms including a dorm that sleeps up to 14. We also have properties nearby where we can help 35 guests in 20 rooms and another 100 beds 3km away. Ideal For: Ideal for school groups, church groups, sport teams, tour groups, young adults, students, contractors and construction crews. Room Facilities: Bedding but no towels, DStv, Kettle, Communal Bathroom. Self Catering costs R20pp extra. Meals: All group meals can be catered for if booked and paid for 2 days before arrival. Close To: 500m from N1 & N8 intersection, Bloemfontein City Centre, University Free State, N1, Makro, Universitas, Gardenia Park, Wilgehof, Willows, Park West, Stadium, Eunice, Grey College, Jim Fouche, Sand Du Plessis, Mimosa Mall, Lochlogan Waterfront Mall, Tempe, 3 Military Hospital, Universitas Academic Hospital, Universitas Private Hospital, Medi Clinic Private Hospital, Spar, Pick n Pay, Restaurants, takeaways and movies. Kwaggafontein is also called Quaggafontein, Kwagga Fontein or Quagga Fountain, Bainsvlei, Spitskop Kelleysview, New Kimberley Road. 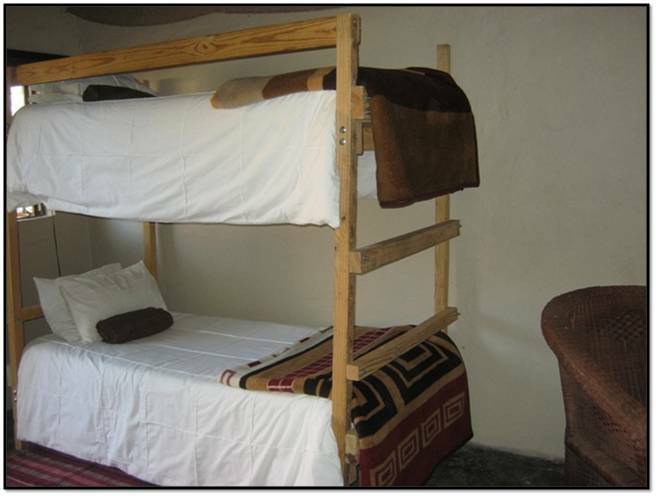 Beds: Each of the 11 rooms has 1, 2 or 3 beds with a private bathroom each. We also have properties nearby where we can accommodate 50, 100, 200, 500 or 1000 guests all within a few kilometers away. Ideal For: Accommodation is ideal for salesmen, adults, drivers, junior managers, supervisors, shopfitters bands, camera and sound crews. 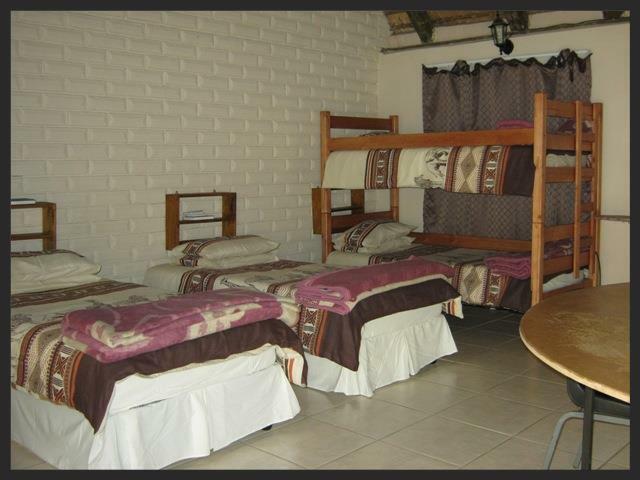 Room Facilities: Bedding with towels, DStv, Aircon, Kettle, Communal Bathroom. Self Catering area costs R20pp extra in the Wendy house at the pool. Meals: Meals are only prepared for bigger groups. Please book and pay at least 2 days before arrival. Events: We also cater for events like weddings, tour groups, year-end functions, and more.